It’s spring time and, of course everyone in the coal preparation business knows what that means. It’s time to head to Lexington, Ky., for the annual Coal Prep show. What many may find hard to believe is that Coal Prep is turning 30 this year. 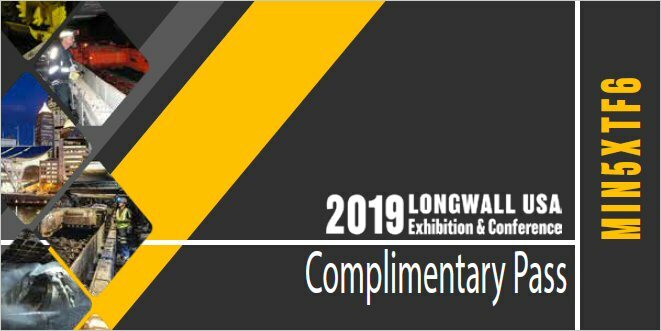 The annual trade show for professionals who process coal has been delivering information on equipment and technology for three decades and Coal Prep 2013 is no exception. The technical program for this year’s conference remains essentially the same with a new feature bolted onto it. The technical session opens with a keynote speech on Tuesday morning (April 30) followed by four technical sessions—Froth Flotation, Energy Today, Plant Operations and Specific Gravity. Each session will have three to five presentations by experts in those respective areas. Before the official program opens, professors from two leading mining schools will host an educational workshop on advanced coal preparation on Monday, April 29. Also on Monday, Coal Prep has teamed up with the Kentucky Coal Association (KCA) to offer a symposium that addresses issues facing the coal industry and promotes networking among the group of lobbyists, coal producers, and the manufacturers and service providers who support the industry at large (see sidebar below). In addition to the technical program, Coal Prep also hosts the largest exposition for coal handling and processing technology. The number of companies exhibiting will be just shy of last year’s record 300+. While the numbers aren’t nearly as large as last year, the size of the exhibits has grown and there is plenty for delegates to see. In an effort to further educate prep plant managers, Virginia Tech’s Jerry Luttrell and University of Kentucky’s Rick Honaker will conduct a workshop, Advanced Coal Preparation—Performance, Predictions & Monitoring. The training short course discusses methods used to evaluate separation performances achieved by coal cleaning processes. The five-hour workshop is a supplement to the Introduction to Coal Cleaning workshop held during the last conference. The professors will review the tools used to assess plant performance. Prior to the exhibits official opening on Tuesday, April 30, Nick Carter, president and CEO, Natural Resource Partners (NRP), will deliver the keynote presentation: Coal Industry: Past! Present. Future? Readers should note the punctuation in the title. A master limited partnership, NRP is principally engaged in the business of owning and managing mineral reserve properties. All Coal Prep delegates are invited to attend the session and the exhibits open following the speech. Innovative Design of Fine Coal Cleaning Circuits for Improved Sulfur Rejection—an enhanced sulfur rejection circuit that was designed and implemented on an industrial scale in the Illinois coal basin. This describes the rationale for the design of this new fine coal circuit and the data obtained from the sampling program. Coal Flotation – The Next Generation will discuss new alternatives, such as feed pre-aeration, short column-like cells and unique circuit designs that are providing significant reductions in capital and operating costs while offering improved metallurgical performance. In-Plant Evaluation of the Eriez Cavitation Pre-aeration System—After installing the cavitation pre-aeration system in the feed pipe to the first StackCell, a detailed test program was conducted to optimize performance, quantify recovery improvement and evaluate the potential of reducing collector dosage. U.S. Power Jump-starts Natural Gas Demand—This presentation outlines the timely convergence of several factors, beyond price, that are contributing to coal displacement from baseload generation and will drive long-term changes in fuel market share for power generation. Biomass for Power Production: A Growing Option?—This presentation discusses the advantages and disadvantages of using biomass to produce electricity. Key Trends in the Energy Industry—This will address key trends within the energy industry and walk through the current state of generation technologies. Online Determination of the Ash Content in Coal by LIBS—Laser-induced breakdown spectroscopy (LIBS) could increase the statistical significance of the analytical results by performing online measurements and providing almost instantaneous feedback about the state of the processed material. The information can be used for feedback control of upstream process steps. Indirect Drying for Efficient Recovery of Wet Coal Fines—Having incorporated many technology, design and capacity improvements, hollow-screw, indirect-heated dryers offer a cost-effective means of recovering the energy value of coal fines in today’s economic and regulatory environment. Improvements in Centrifugal Dryer Performance Using Chemical Treatments—This presentation describes the working concept behind a new generation of dewatering aids, including experimental data from the in-plant evaluation program, and provides a cost-benefit analysis of this approach to improved plant moisture management. Online Monitoring of Operation Performance of DMC—An online system monitors the operational performance of dense medium cyclones (DMC) using a system based on electrical impedance spectrum (EIS). Plant-base trials indicate that the medium relative density measured by EIS agrees reasonably well with other forms of monitoring. New Developments in Dust Control—This presentation discusses three new techniques for dust control. The technical program concludes with, Session IV: Specific Gravity, which takes place Thursday morning, May 2. 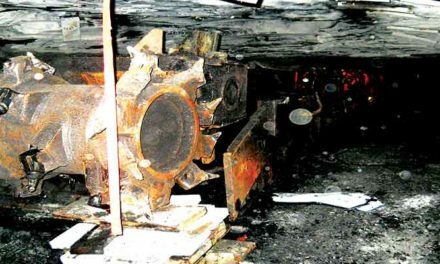 Development of an Automation System for Coal Spirals—The main goal of this study was to develop a suitable sensor and control system to automatically adjust the product splitter position for a full-scale spiral. Several basic properties of coal slurry were investigated for their online measurability and their correlation with the constituent solid density of the slurry. An electrical conductivity (i.e., reciprocal of resistivity) -based proprietary sensing technique has been selected for measuring solids density of particles in the spiral trough. Dry Coal Sorting: Next Generation Technology for Coal Preparation—DriJet sorting technology, which has been designed specifically for coal cleaning applications, offers many benefits for coarse coal upgrading including mechanical simplicity, high capacity, low cost and minimal environmental impacts. Recent test data from both run-of-mine coal and waste coal upgrading applications will be presented. Investigation of Misplaced Material in Large Diameter Dense Medium Cyclones—The reasons for the low density tails that have been seen with alarming regularity in large diameter DMC partition coefficient curves have been investigated. Two aspects of the issue are addressed in this presentation: precision of partition coefficient measurement and the influence of particle breakage. A New Low Cut Point Spiral for Fine Coal Separation—This presentation outlines the spiral design evolution and presents results obtained from testing alongside conventional LD4E, LD7 and LD7RC spiral models. The lowest cut point of any of the conventional models was 1.55 (on the LD7RC). The LC3 readily achieved cut points below 1.4 with measured efficiencies as good as or better than those of the other models. 8:30 a.m. Opening Session: Emerging Environmental Regulatory Issues from the Appalachian/Illinois Coal Basins—A panel of representatives examine the environmental regulatory landscape and what it means to the mining sector within both the Appalachian and Illinois coal basins. 11:00 a.m. Federal and State Official’s Viewpoints of the Regulatory Assault on Appalachian/Illinois Coal Basins—Federal and state elected officials give their insights on how President Obama’s federal regulatory onslaught is affecting the coal industry and how it continues to plague a once-vibrant industry now stifling its very existence. Noon Luncheon: Long Term Future of the U.S. Coal Industry—Hal Quinn, president of the National Mining Association, will speak about the future of coal mining. 2:10 p.m. Emerging Health and Safety Issues for the U.S. Mining Industry—An engaging conversation about the current legislative and regulatory environment in and around Capitol Hill in regards to health and safety. 3:30 p.m. Examination of Environmental Activist Groups and their Effect on the Domestic Energy Market—Hear about the ramifications environmental activist groups have on the domestic energy market. Peter Socha, CEO, James River Coal Co.
Ben Hatfield, President & CEO, Patriot Coal Co. Extend the life of bearings with Chesterton auto greasers filled with Chesterton’s High Performance Greases with quiet bearing technology. Protect them with Chesterton and Inpro seals. Providing insurance services to the mining and mining-related industries. American Mining Insurance can design a workers’ compensation program to fit a company’s needs. Rated A+ by A.M. Best. Analabs specializes in environmental laboratory devices and drug and alcohol program management. Andritz manufactures a wide range of mineral screening, thickening, dewatering and drying equipment, including screens-static and rotating; belt, vacuum and filter presses; centrifuges; hyperbaric filters; and dryers-fluid, drum and belt designs. Falk Steelflex couplings—products of Rexnord are available from Applied Industrial Technologies. They are exposed to dust within coal handling facilities, while operating under demanding torque conditions. The high-impact loads placed on conveyors will push the limits on any coupling. The vibratory loads on high-speed applications, such as pumps or compressors, can cause some couplings to break down. Falk Steelflex couplings can reduce the impact of these loads on mining equipment by up to 30%, saving time, money and downtime. Ashland Water Technologies offers a comprehensive array of water treatment programs for the mining market designed to improve operational efficiencies, reduce operating costs, protect plant assets and minimize environmental impact. Agri-Systems operates as a design build contractor specializing in storing and conveying bulk materials. Its team builds concrete silos to store any number of materials and installs all types of conveying systems. 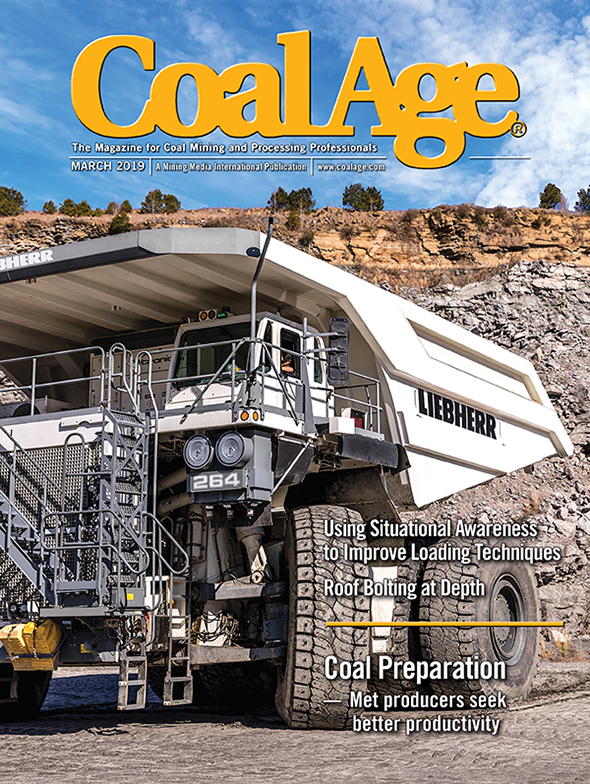 Coal USA focuses exclusively on the longwall and room-and-pillar industries, with original and in-depth news and features, and advertises access to the industries’ key decision makers. Magnetite for coal cleaning process. Atlas’ full turnkey construction services provide industrial, manufacturing, governmental and railroad clients in the Class 1, short line, regional and transit sectors with safe projects. Atlas also provides design, new track work, intermodal, track rehabilitation, bridge work or bare equipment rental. Established in 1938 as a provider of specialty lighting, Rig-A-Lite focuses on lighting explosion proof, hazardous and corrosive environments, including mines, power plants and other facilities. They specialize in traditional and LED industrial lighting products. They also offer the Swivelpole to help make maintaining lighting safer and less costly. B.D.I. manufactures stainless steel screens and centrifuge baskets for the mining industry. Becker Wholesale Mine Supply is a world leader in sales and service of underground and surface communication systems. It supplies the industry with Becker and Varis Leaky Feeder Systems, tagging and tracking systems, proximity detection systems, two-way portable radios and waterproof radios. Bedeshi manufactures raw material handling equipment around the world for the power, cement, biomass, mining, coal and marine terminal industries. Products include apron feeders, crushers, stackers, reclaimers, ship loaders and unloaders. For more than 50 years, Berthold Technologies has provided non-contacting, low-maintenance instrumentation for measurement of level, density, moisture, and mass flow of bulk materials in the toughest applications in the coal and mining industry. BJM submersible pumps; slurry pumps, stainless steel pumps, corrosion resistant pumps, sludge pumps, non-clog pumps, solids handling pumps, shredder pumps, vortex pumps, submersible dewatering pumps, sand pumps, agitator pumps, high temperature pumps and explosion proof pumps. Design and engineering firm since 1926, specializing in slip form construction. Expertise in barge, rail and truck loadouts, large conveying systems, coal, cement and grain facilities. Chimneys, stacks, mechanical and structural installation. Continental U.S., international experience. Brechbuhler Scales has been serving business and industry since 1929. Its objective is to increase a company’s productivity by providing professional services and state-of-the-art weighing equipment. Brechbuhler Scales is an ISO 17025 quality certified independent distributor of weighing equipment. BWI Eagle designs/manufactures electronic controls that improve safety in mining and other industries. CM&I Products is a hydraulic, industrial and safety supplies wholesale distributor. It has been providing quality fluid conveying products and industrial supplies in the Mid-Ohio Valley since 1982. CBP is the OEM of cast basalt linings and a leading supplier of alumina, AZS and silicon carbide ceramics. CBP offers a broad range of experience, products and application knowledge in materials handling. Caldwell provides concrete construction for foundations, tunnels, stacks and vertical concrete storage systems. Specializing in foundations and vertical jump formed concrete storage systems, its turnkey operation features complete engineering, project management, field supervision, project construction and aftermarket. Caldwell meets or exceeds all industry construction and ACI standards. Cardno provides geological, mining and civil/structural engineering services; financial valuations of property, plant and equipment; site characterization and assessments; operating facilities, coal, carbon and hazardous waste management; and impoundment and embankment design, permitting, operations and monitoring capabilities. Precast concrete surface buildings including restrooms/shower rooms, hazmat storage and emergency shower eyewashes as well as precast concrete box culvert for drainage, air shafts, tunnels and many other precast concrete options required. Clifton Steel stands behind its mining products, manufactured to meet and exceed the highest quality standards in the industry. For more than 40 years, Clifton Steel has delivered solutions to wear challenges. Clinch River is a custom fabrication facility specializing in coal handling and transferring of coal through chute work for preparation plants and power plants. It also fabricates special products for the coke industry, and rebuild vacuum pumps as an authorized Dresser Roots Service Center. Cobra is a manufacturer of conveyor belts; plied, solid woven straight warp and steel cord, mechanical fasteners; and accessories. Commonwealth Equipment offers new and used crushing and screening equipment for rental or sales, as well as parts for all types of crushers and screeners. It has an experienced service staff available to service existing equipment. Self-priming, CD4MCu, high-head dewatering and slurry pumps; suction lifts of 28 ft and heads of 800 ft. They are used successfully in longwall, traditional pier/beam, pit and strip mining applications. Division of Carborundum Universal Ltd., a leading global manufacturer and supplier since 1954 of fine grain high alumina wear ceramics, is now offering immediate stock, same day delivery. ISO9000 certified. Engineering design and permitting for site development and refuse impoundments including new impoundments, life extension, upstream construction, and combined refuse/ash disposal. D’Appolonia authored the industry’s first refuse disposal facility design manual in 1975 and the current MSHA manual. The Daniels Company is a “design and build” company for coal preparation plants and coal handling systems. It also manufactures proprietary process equipment including Daniels heavy media vessel, chutes, conveyor belts and trusses. David Brown USA will introduce its new CX Conveyor Drive. It is available up to 10,000 hp in double and triple reduction, parallel and right angle with available alignment free mounting. Deister’s mission is to continue to maintain its tradition and reputation as a leader in the manufacturing of quality, specialized, vibrating equipment for the mining, quarrying and allied industries and to provide personalized customer relations and service. Delta Pump & Systems has been providing quality service for more than 35 years. It is a distributor of pumps, parts and accessories. Delta Pump & Systems specializes in pump sales and service. Supplier of controls and valves since 1974 to the coal industry, knife gate valves to 18-in. in stock, target valve controllers, slurry line monitors using telemetry (solar panel powered) and mag meters, coal sampler for quality control, and non clogging pressure sensor for cyclones. Durable Documents has created a unique printing service for safety and compliance materials on virtually indestructible paper to make recording information easier than before. Its documents have been tested to resist a range of corrosive chemicals, and can be written on and wiped clean. Its printed pieces are waterproof, chemical-resistant and tear-resistant to endure almost anything in the workplace. Duraline has provided abrasion and corrosion resistant linings and coatings to the coal preparation industry for 48 years. Products include Duraline Z-100 Heavy Duty Wear Lining. The economical wear resistant spec choice. Duraclad Epoxy Coating Systems featuring C-301FS fast setting ceramic beaded coating that cures in as little as 15 minutes. Dynalloy Industries was founded more than 40 years ago and is the industry’s premier tungsten carbide processor. It provides innovative engineered solutions for hard wear problems. Elgin Equipment Group companies, CMI, CSI, Tabor, Norris, MCI and Clinch River, are widely recognized throughout the coal industry for manufacturing products known for their reliability, low maintenance and cost-effectiveness. Family-owned and operated in Knoxville, Tenn., Enterprise Oil and Environmental Services is permitted to transport, treat and dispose of all oil, oil filters, oily wastewater, antifreeze, coolants, separator sludges and other specific wastewater. Equipment Guarding Systems manufactures several types of woven and welded wire panels that are ideal for elevator guards, flat guards, grinding mill guards, filter press guards and modular barrier guards. Excellence in distribution since 1921. Full line distribution source for maintenance, repair and operating supplies; materials management with programs that focus on optimizing operational efficiency. FGR is an automation engineering specialist that offers systems integration of PLC/HMI/PC Data Driven Systems; electrical engineering; controls and instrumentation for coal processing automation; material handling; and truck and train loading. Flexco provides the world’s belt conveyors with efficient, safe products, services, and solutions for mechanical splicing, belt cleaning, belt tracking, spillage, slippage and material transfer. FMC Technologies is a global leader providing material handling solutions for conveying, feeding, screening, elevating and mining controls of bulk product. FMC is committed to providing vibratory and conveying technologies with state-of-the-art controls, automation and information systems that improve performance and minimize operating cost. Whether it is performance optimization of existing systems or newly customized plants, its dedicated team of engineers and sales staff will provide efficient and cost-effective solutions. Formsprag offers a broad range of both sprag and ramp and roller type overrunning clutches and backstops and is a leading authority for solving applications requiring overrunning clutches. Hansen Transmissions North America, based in Verona, Va., is a manufacturer of gear reducers since 1923. Hansen will exhibit its UNIMINER alignment free conveyor drive. Hansen supplies drive solutions for a wide range of applications in the mining, cement, mixing and grain industries. Gear capacities-torque-10,000,000 lb and hp to 10,000. Hatch is a leading international consulting, engineering, project and construction management firm supplying services to the coal industry including preparation plants, material handling systems, mine infrastructure and bulk shipping facilities. Industrial hard chrome, wear resistant coating, on-site repairs, parts refurbishing and salvage, thermal spray coatings, screen coating, machine shop services, large capacity, screen life extension, free-flow wear plate for chutes and liners, scalper screen life extension, haul truck cylinder and spindle repairs. Hawk is a world leader in thickener interface, level, position and flow measurement, providing cutting edge equipment to the global industrial market. Hawk has 30 years of experience and a record of success in a wide range of areas including mining/mineral processing, water supply/waste water, bulk material handling and chemical handling. HD Supply in Alum Creek, W.Va., is an industry leader in the HDPE pipe market. Specializes in custom plant piping and both above ground and underground piping for slurry and water transportation. Conveyors, stackers, components, bulk material handling equipment, custom fabrication. Ideal Steel specializes in custom flame cutting of steel plate of all shapes, sizes and grades. Sawing, weld prep beveling, shot-blasting and forming are some of the value added services it provides. Currently stocks Hardox, A514, AR400, A36, and A572/50 plate in various thickness. Ideal has locations in Oregon, Ohio, South Carolina and Texas. Industrial Bolting Technologies sells, rents, leases and services pneumatic and hydraulic torque wrenches, flange spreaders, nut splitters, hydraulic rams, stud tensioners, and more. Industrial Info Resources is a leading provider of global market intelligence specializing in the industrial process, heavy manufacturing and energy markets. Industrial has been a contractor for complete coal preparation facilities, conveyance systems and renovations for 62 years. It offers total in-house capability for engineering, fabrication and installation. Johnson Industries has been manufacturing equipment for the mining industry since 1981. Manufacturer of vibratory feeders, grizzlies and screens for handling coal and aggregates, engineered per the application requirements with many standard options and full sale service. K.R. Komarek is a world leader in the design and manufacturing of roll type briquetting machines and compacting machines ranging from laboratory machines to full production systems. Core markets are coal, steel waste, minerals powders, specialty chemicals, fertilizers and industrial markets. Kraft Power is the North American distributor for Transfluid fluid couplings and power transmission products. Transfluid is a leading manufacturer of fluid couplings designed to enhance today’s material handling industry demands. Kraft Power has service centers throughout the country. According to the company, whether it is liquid and solid leveling, in-line positioning, scanning, counting, or profiling, Laser Technology laser measurement sensors can quickly deliver accurate distance, level and proximity measurements. Lawson Products is an international seller and distributor of systems, services and products to the industrial, mining, commercial and institutional maintenance, repair and replacement marketplace with subsidiaries in Canada and Mexico. Specializes in fastening systems, cutting tools, chemicals and abrasives, hydraulics and automotive products. Lincoln Contracting is a full service, hands-on contractor that can take a project from inception to completion. Specializing in plant design and layout, engineering, complete turnkey construction of coal preparation plants, material handling systems and mine ventilation fans. LMI Reducers produce quality shaft mount and screw drive gear reducers and accessories at a reasonable price. Marietta Silos constructs, inspects and repairs silos, stacking tubes and reclamation tunnels. Marietta’s silos are constructed with jumpform, slipform and stave construction techniques. Marietta owns Jump-o-Form and Jump-o-Stack form companies. Matrix Design Group is an engineering service, hoist systems and mine safety technology company. Engineering services include automation system design and installation, and panel and control room manufacturing. Provides turn-key hoist systems, headframe, cage and foundation design. McLanahan will feature its extensive line of mineral processing equipment. Known for providing custom engineered process solutions for crushing, breaking, sizing, sampling, washing, feeding, dewatering and scrubbing, the company will display a DDC-Sizer, Dewatering Screen and Separator combination, and a LabMill Crusher in the booth. Additionally, a pilot version of the Recessed Plate and Frame Press will be displayed outside the exhibit hall at booth 4006. McNichols provides a variety of products such as perforated and expanded metal, wire mesh, safety grating, structural walkway grating, fiberglass grating and structurals, and walkway matting for both industrial and commercial use. Full size panels or cut to size. 17 locations nationwide. MCS is a full service concrete contractor for the mining industry for both surface and underground projects. Miller offers stack tubes, reclaim tunnels, caissons, piling, concrete supply and concrete pumping. Wholesale distributor of Minet conveyor belt fasteners. Selling Super-Screw, MS Series mechinical fasteners, Record and Titan Fasteners. MiningConnection.com reports on daily news and developments that shape the mining industry locally, nationally and around the world. Categorized into four segments—minerals processing, underground mining, surface mining and manufacturers/distributors, it is designed for readers to easily locate information of most interest to them. 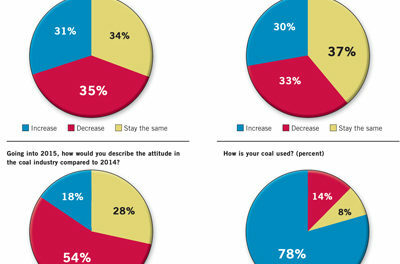 Nalco offers a wide array of productivity improvement programs for coal. Nalcoal line-up of collectors, frothers and filtration, DustBan and Eliminice offerings improve coal handling as POL-E-Z and EnAct programs help protect the environment. Nexans AmerCable is a leading manufacturer of mining cable in North America. It offers rugged CIR (crush and impact resistant), Low Smoke Halogen-Free and VFD cables for coal prep facilities. Pennsylvania Crusher will display a Type K 30×100 single roll crusher, typically used to reduce 1,400 stph of 26 in. top size feed to 2 in. x 6 in. coal, rock, ore, clay and other industrial materials. Like all Pennsylvania Crusher brand single roll crushers, the Type K has a low profile and is relatively compact, allowing it to be installed under dump hoppers and in other areas having limited space. The brand manufactures size reduction equipment to crush coal for use as fuel in steam furnaces of coal-fired power generation plants. It also serves the mining, quarrying and glass making industries. Pilot Travel Centers operates 550+ travel centers across the U.S. and Canada, with a fleet of more than 800 trucks. Pilot’s Wholesale Fuel Department offers on-site fuel delivery for a company’s tanks, as well as tank monitoring/management, daily spot pricing, and monthly/yearly fixed pricing. Polymer Components is a manufacturer of custom rubber, solid polyurethane and flexible foam polyurethane components. Its custom products range in hardness from 5A to 85D. Polymer Components specializes in custom component solutions from small to large volume. PSI specializes in the turnkey installation of its heavy-duty custom designed automated mechanical sampling systems that includes both truck auger and conveyor belt sampling systems. PSI provides additional services after the sale including system inspections, repairs, operation and maintenance. Pumpaction, a distributor of Putzmeister Pumps for 30 years, provides engineered paste/slurry handling systems to mining and power industries. A “one stop shop” for monitoring, control and communications; customer oriented, global distributor network, dedicated in-house sales and service staff. High quality magnetite for coal separation and other aggregate needs from multiple supply sources to ensure consistent quality and service. Raco manufactures a full line of environmentally safe electric linear actuators with ball screws or Acme screws with thrusts up to 200,000 lb, speeds up to 30/sec. and strokes up to 20 ft. Fast belt driven actuators offer speeds to 100/sec. Coalscan analyzers measure coal quality continuously without physical sampling and without conveyor or load contact. Applications include quality monitoring, bulk sorting, blending and load-out operations and product compliance. Schurco Slurry Pumps are available in both horizontal and vertical arrangements. They are fully lined and built for the harsh abrasive service in coal preparation plants. Parts and pumps are also interchangeable with the Warman AH line. A leader in sales and service of Flygt Submersible and Schurco Slurry Pumps; servicing the mining industry for more than 28 years. Protective coatings supplier for the coal prep industry. Standard Labs currently operates 35 laboratories specializing in coal sampling and analysis, with additional analytical capability in soil, water, environmental and geochemical matrices. Traditional and industry specific products and services for the surface and underground mining industries including coal and aggregate. From cable and mine parts to total electrical needs. Established in the United States in 2003, Steinert US is the North American headquarters of Steinert Elektromagnetbau GmbH; a global leader in separation technology solutions for the scrap, waste, recycling and mining industries. The company manufactures a complete line of magnetic and sensor-sorting equipment designed to separate and recover a wide range of materials. A&D is experienced in the fabrication and installation of construction metals including hastelloy, carbon steel, structural steel, titanium and aluminum. With more than 130,000 square feet of available under-roof shop space and an outside-lay down area, most components can be pre-fitted to ensure proper assembly during field erection. Superior CeramX, a manufacturing company, has a quality fabrication shop and ceramic tile installation service. It supplies sandblasting, painting, cyclone repair/rebuild and stonehard installation. Superior Industries engineers and manufactures bulk material handling conveyors and components. From its headquarters in Morris, Minn., the manufacturer supplies the market with stackers, transfer conveyors and stationary systems plus idlers, pulleys and accessories to lower operating costs and increase production. The company manufactures from two additional plants in Arizona and Georgia. Advancing underground and surface belt conveyor control technology since 1964 using AC (VFD), DC and fluid couplings from 480 to 4,160 VAC for load sharing of head and booster drives. Tabor has a full line of vibrating screens; incline, horizontal, multi-slope and fine dewatering along with feeders. Screen sizes: width-3 ft to 12 ft and length-6 ft to 24 ft. Quality replacement parts for Tabor Screens and many others. Tandem Products is a Minnesota-based company specializing in the production and sale of abrasion resistant products. Rhino Hyde products are widely used in the aggregate and mining industries. Tapeswitch manufactures safety sensing, and signaling switches, control switches, touch pads, safety edges, safety bumpers, safety mats and light curtains for machine safety. Also offers two lines of interlock products for machine guarding, non-contact interlock switch systems for gates, guards and enclosures, and power isolation and access trapped key interlocks. Tega Industries is a manufacture of rubber and polymet FGD ball mill liners, rubber and polyurethane screen panels. Tega also specializes in feed chutes lining systems and conveyer wear products. hi-open area modular screening panels. Cable reinforced hook type tension screens; modular wedge wire screening panels 1x1s , 1x2s and 1x4s; polyurethane spray nozzles. Valtronics is a manufacturer’s representative, representing 25+ of the most respected manufacturing companies in the industry. From engineering and design, manufacture and start-up to training personnel on operation and maintenance. VEGA specializes in level, pressure and density measurements. It offers world-leading solutions for slurry density, weighing, and also in measuring level in silos, bins, bunkers, tanks, sumps and flotation. Voith Turbo, a world leading manufacturer of high tech drive components, will showcase its latest developments in constant fill and fill controlled fluid couplings. Voith couplings are used on high powered conveyors, crushers, fans and pumps, etc. WesTech designs and builds quality coal prep equipment; thickeners, tailings paste thickeners, filtration, screening and flotation, retrofit thickener and clarifier drives, ISO 9002 certified and employee-owned. WesTech Paste Thickeners dewater tailings to non-settling, pumpable concentrations. Covering the mining, handling, preparation and transportation of coal, World Coal is a leading monthly magazine for the global coal industry. Each issue includes expert technical papers, topical industry news and commentary, and in-depth regional reports. World Coal is ABC audited with an international circulation. It publishes two special editions, World Coal Asia and the Chinese-language World Coal China. Zhongda Bright Filter Press is a leading filter plate and filter press manufacturer in China.